Are you looking for maintenance free living that is close to everything? This condo is the home for you! A bright, 2 bedroom 1 bath unit is open concept with vaulted ceilings & skylights giving it a large feel with plenty of natural light. 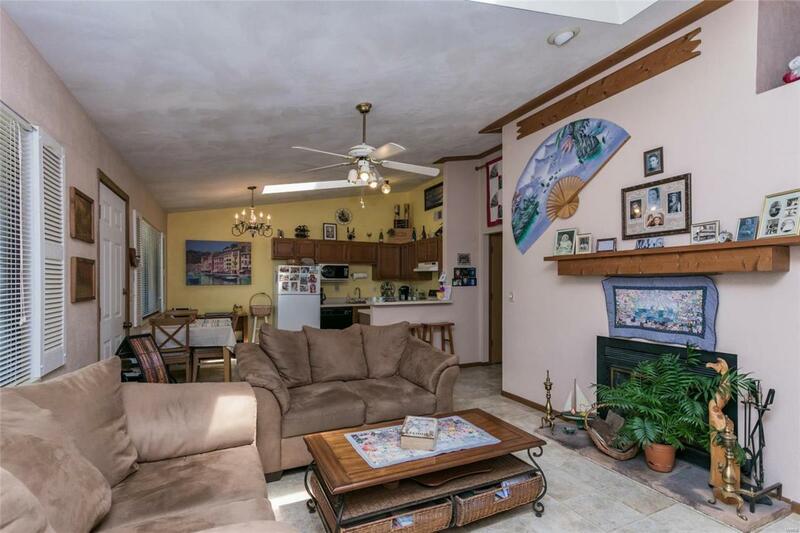 The living, dining, kitchen space is all open to the other with a wood-burning fireplace in the living room. There are 2 bedrooms with the bathroom between. The bathroom has a washer/dryer that stays. The 10x7 deck was upgraded in Aug 18 to composite material. A 4x5 storage closet off of the deck. 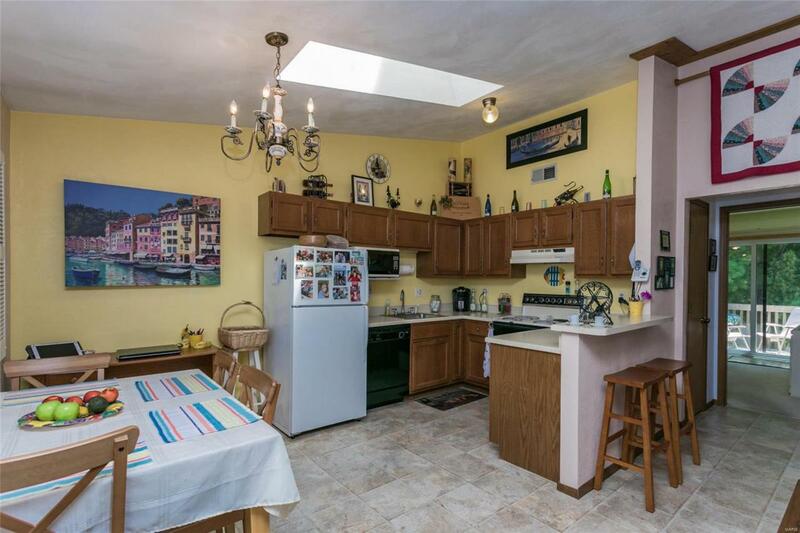 Kitchen has plenty of cabinet space for storage & counter space for working. Counters have a professional epoxy finish. Unit comes with a garage & carport, private parking value! Fees include snow removal, landscaping, parking, pool & trash. A variable special assessment fee (roof, decks, etc) is assessed. 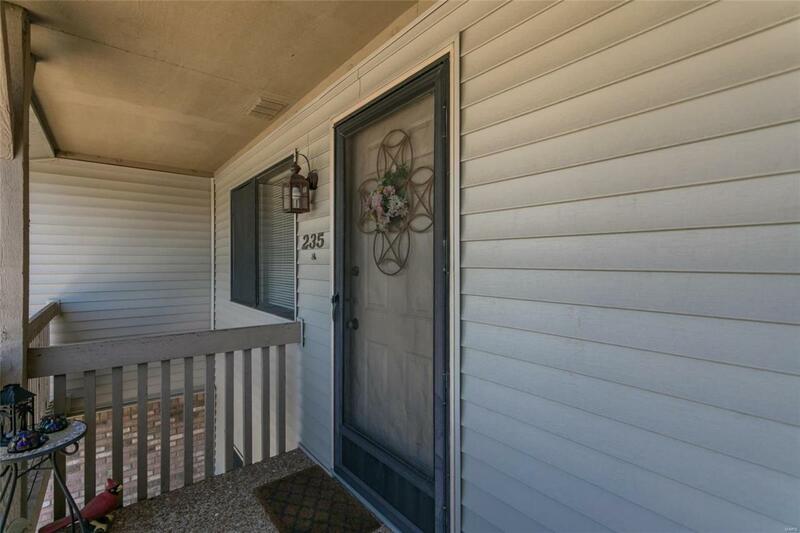 Walking distance to downtown OFallon. 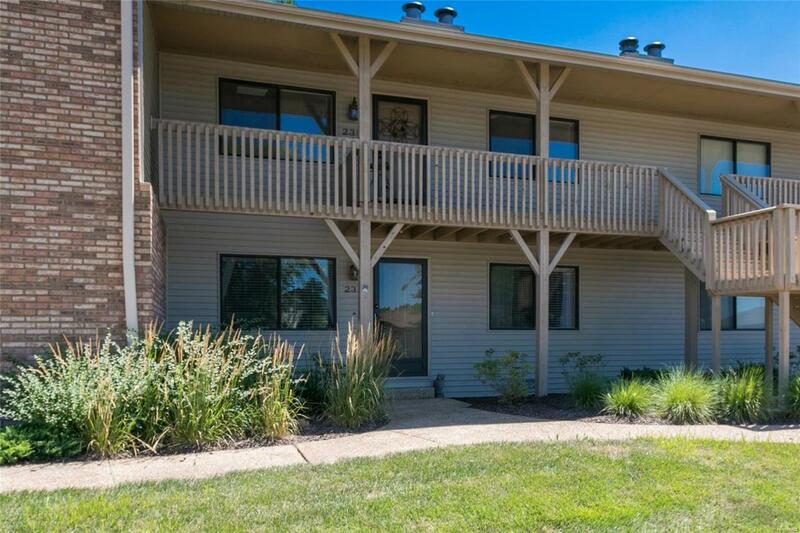 Minutes to shopping, dining, entertainment, hospitals, I-64, & Scott AFB.